Each gauge features a bright LED (available in blue, green or red). LC-2, with O2 SENSOR. - Optional sensor cable lengths available: 3ft, 8ft (Included), and 18ft. - Integrated dual-color status LED (Green/Red). 18ACR 12V 65AMP High Output. Also suitable for earlier cars converting from dynamo's. SUITABLE FOR MODELS USING PINTO ENGINE ONLY. All PINTO engines. STEALTH DYNAMATOR. FITS ALL CARS FITTED WITH A LUCAS C39 OR C40 DYNAMO. 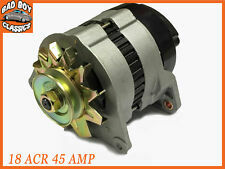 QUALITY 45 AMP ALTERNATOR FITTED WITHIN A ORIGINAL STYLE DYNAMO CASE. NO MODIFICATION REQUIRED. COMPLETE 18ACR ALTERNATOR. ALSO IDEAL FOR EARLY CARS CONVERTING FROM DYNAMO. 12 MONTHS WARRANTY. This air/fuel information is displayed on an integrated OLED display along with manifold pressure and wastegate duty status. The SCG-1 has a full-programmable analog output ideal for applications using standalone ECU’s, piggy-back ECU’s or external data loggers. Replaces ORIGINAL VW AUDI SEAT PART number. For RIGHT Hand Drive Cars With manual Air Conditioning. For RIGHT Hand Drive Vehicles. replaces other part numbers. Always check the photo and part numbers match the product you are replacing. P/N: 3806. 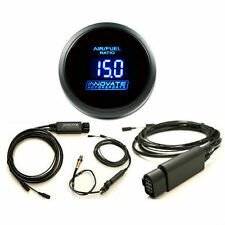 Wideband O2 Compatible with ALL fuel types. Get in Touch! Single or Dual Channel A/F Version Available. Carrying Case also included! What are we known for?. Log directly to SD card. Body Style 0 (2 hole flanged receptacle) With Sockets. 55-Way Autosport AS Series Connector. N Keyway-Red Band. Genuine Durite switch. 3 Position (On/Off/On). Black plastic lever. See 3rd picture for wiring diagram. Rated at 6A at 12v. High and low note horns with link lead and suppressor. 6MM(OBA) BLUE RING CONNECTORS. Low cost world wide. Top Quality Products at Unbeatable Prices. UNBEATABLE VALUE. at checkout. International Orders. 18ACR 12V 65AMP High Output. SUITABLE FOR MODELS USING ESSEX V6 ENGINE. Fantastic Value with Top Quality. Steering Wheel Air Bag Rotary Coupling Clock Spring. Land Rover. Car : LAND ROVER. Land Rover Discovery MK III 2.7 TD. Land Rover Discovery MK IV 2.7 TD. Land Rover Discovery MK IV 3.0 4x4. Land Rover Discovery MK IV 3.0 SDV6. 4 Connector seals. 4 Housings. Genuine Durite switch. 4 Position (Off/Side/Dip/Main). Requires 27mm panel hole for fitting. See 2nd picture for wiring diagram. Rated at 11A at 12v. 50 x Bullet receptacle. 50 x Butts. 50 X Bullets. 50 x Male spade / tab. 20 x Piggy-back. 10mm ultra bright LED with mounting bezel. A dedicated shift light output allows an LED or bulb to be set to light at a user definable engine speed to indicate the optimum gearshift point. This does not affect your statutory rights. 10-Way Autosport AS Series Connector. N Keyway-Red Band. (There is a lot more information available on the RS components website). 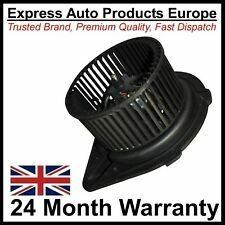 1240126 or 90213283. replaces ORIGINAL VAUXHALL OPEL PART number. Always check the photo and part numbers match the product you are replacing. The PERRIN Performance Cam Solenoid Guards serve both aesthetic and protection functions simultaneously. Cover up the unsightly and exposed AVCS solenoids within minutes--no special tools required. The anodized coating allows your parts to continue looking great after many miles of use. MARINE BATTERY CUT OFF SWITCH. 4 POSITIONS ALLOWS YOU TO SELECT BETWEEN BATTERY 1 - 2, BOTH OR OFF. 69MM X 69MM X 74MM. DURITE - 0-203-04. in a sectionalised plastic box. 0-001-31 x 12. 0-001-10 x 30. 0-001-35 x 12. 0-001-09 x 12. 0-001-46 x 10. 0-001-19 x 10. 1 x Female Housing: 54200608. 6 x Female Crimp: 54001801 (18-20AWG). 1 x Male Housing: 54200612. 6 x Male Crimp: 54001801 (18-20AWG). APEX® Series Wire Connectors are especially well-suite for the rigorous demands of the automotive market, especially the engine and under-bonnet areas. Toyota fuel injector connector set of 6 1ZZ 2ZZ etc. 12 Wire Seals. BA15S P21W Led Bulb Error Free Resistor. Plug & play. Premium quality. Canbus error free. Credit card is not acceptable. eCheque will be held until cleared. Solve any problems with you in friendly way after communication. or Negative. We maintain high standards of excellence. Liven up the engine bay of your Subaru with the Mishimoto Subaru CNC Battery Tie-Down. Each precision battery tie down is constructed from 6061 billet aluminum with a durable anodized finish. Mishimoto products are a high quality manufactured item. 13-Way Autosport AS Series Connector. 13x 22awg Pins (Accepts 26,24,22awg Wire) Max 5.0A. N Keyway-Red Band. 2600 Assorted cord ends French. 500 x 0.5 (white). 500 x 0.75 (blue). 500 x 1.0 (red). 500 x 1.5 (black). 500 x 2.5 (grey). 50 x 4.0 (orange). 25 x 6.0 (green). Improves Light output by 25%! Nissan R35 GTR maf connector quite commonly used as conversion for high power conversion. Nissan R35 maf connector. 6 Wire Seals. Link G4 G4 Expansion Loom Connector Xs Xsl. Comes with 1 x connector and 8 x pins to populate the connector with, suitable for g4/ ecus, essential when trying to add more inputs to the ecu. 55-Way Autosport AS Series Connector. Body Style 6 (Free plug) With Sockets. A Keyway-Yellow Band. Central Keyless Entry Locking System Kit for VW. For cars with original central locking system (with 12-pin cable connector). VW Golf MK3 (models 1991-1999). VW Golf MK4 Convertible (models 1998-2002).